What Is Tobacco? Tobacco comes from a leafy plant that tends to grow in warm tropical areas. It is famously grown all over the Caribbean, where the warm, sunny conditions make for a perfect growing climate. Tobacco is usually smoked as a Nicotinic stimulant and is mostly processed, rolled and dried before being smoked. 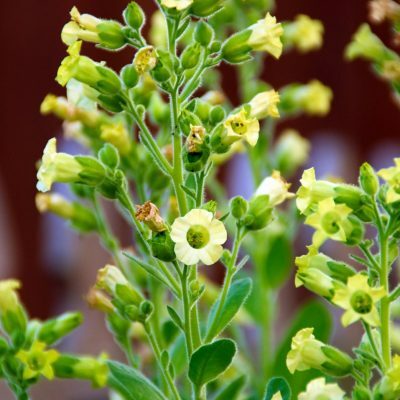 Tobacco belongs to the nightshade family of plants, and are wildly varied. Some, like potatoes, tomatoes, eggplant, and some peppers, are common food items for humans, while others, like petunias, are ornamental. Nightshade plants contain high levels of alkaloids. In nature, these alkaloids work as a pesticide, and are a natural defense against being eaten. The nicotine in tobacco is an alkaloid. Alkaloids can also be toxic or deadly to humans. 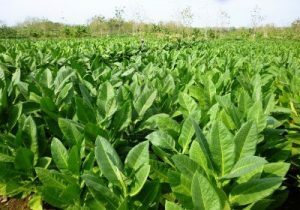 In fact, workers who cultivate or harvest the plant may develop Green Tobacco Sickness, a sickness that results when the skin contacts green tobacco leaves. The initial symptoms are primarily due to the stimulatory effect of nicotine and include vomiting, headache, dizziness, nausea, sweating, abdominal pain, tremor, ataxia, tachycardia and more. A period of depressor paraphernalia characterized by symptoms of central nervous system: depression, hypotension, coma, paralysis, difficulty breathing, respiratory failure, and muscular weakness. 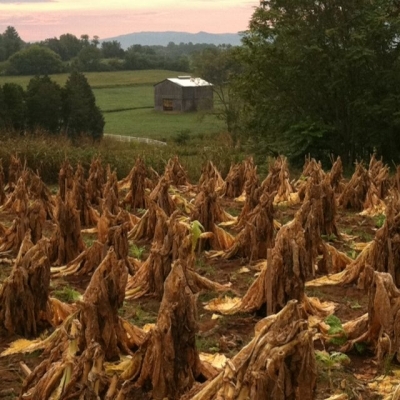 Tobacco leaves are sun-dried to reduce the toxicity. China, India, and Brazil are the leading producers of this plant in the world. China alone produces ten times more tobacco than the US. The plant depletes the soil of nitrogen, which affects future crops. Different geographies produce different types of the plant. The taste and flavor of the leaves are the characteristic trademarks of different types. 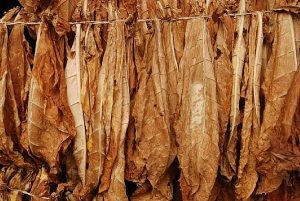 The process of curing also determines the type of tobacco. This is the most common type of tobacco used in cigarettes. This type is slowly heated to preserve flavor. It is highly aromatic with high sugar and nitrogen content. The Burley blend is cured in controlled air ventilation. It is mainly grown in Kentucky, USA. It is characterized by mild aroma and light brown color. 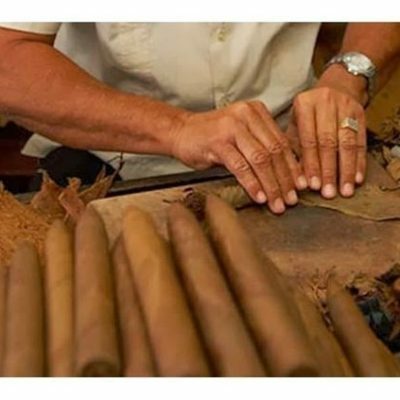 Corojo is used to make cigars and is popular in Cuba. Corojo grown in Cuba is genetically modified to be pest-resistant. Dokha is an Arabian blend characterized by high nicotine content. Dokha is in the Middle East to prepare Hookah syrups. Unlike other types of tobacco, Dokha is not cured. 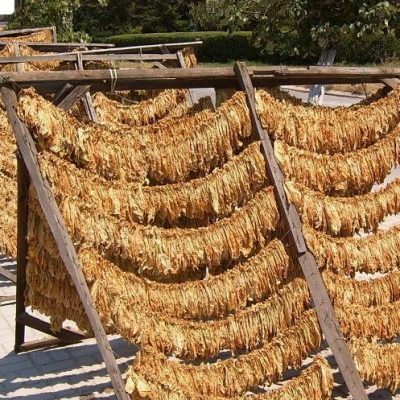 Turkish tobacco is sun-dried leaves of the plant, common in the Mediterranean. Greece and Macedonia are the major cultivators of Turkish brand. Oriental tobacco has a mild flavor and low amounts of nicotine. It is a bit acidic in nature and produces smooth draws. It also has fewer carcinogens than most other varieties. Thuoc lao is one of the strongest types of tobacco. It is cultivated in Vietnam and locally used as a medicine. Thuoc lao is smoked in bamboo pipes. It produces strong smoke that has high nicotine content and intense flavor. Y1 Tobacco is an experimental breed of tobacco, used to boost the nicotine content. Invented by James Chapin, it became a controversial subject in the 1990s. Nicotine is a nitrogen-based compound which dissolves in organic compounds. Tobacco leaves contain plenty of nicotine which evaporates on burning. This nitrogen-based compound is addictive in low amounts and toxic in high doses. Nicotine Sulfate is a potent pesticide, known for its high toxicity. Is tobacco a stimulant or depressant? 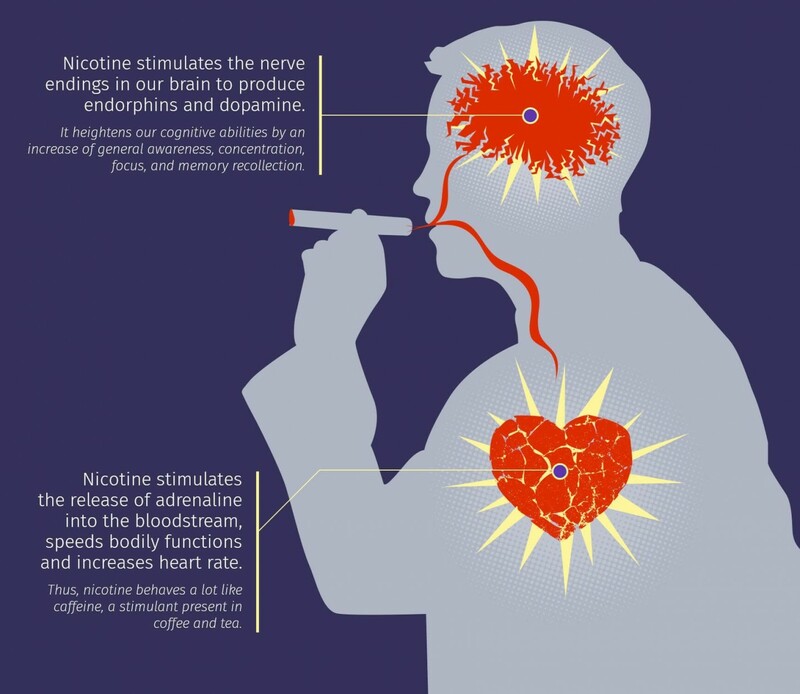 A study of nicotine revealed that it acts both as a stimulant and a depressant. Nicotine is quickly detoxified from the bloodstream as the body perceives it as a toxin. The next cigarette acts as a temporary stimulant. The tolerance level of nicotine increases sharply, and smokers often smoke more to maintain the same high. With repeated cycles, nicotine acts as a depressant. Far from the Americas, another major civilization couldn’t stay away from the mystical properties of smoking. Experts still do not know how tobacco smoking started in Egypt, but there’s evidence that tobacco had been used even in the era of the Pharaohs. Incenses were widely employed in rituals and ceremonies. Ancient Greece and Rome were also fascinated by smoking, and although tobacco was still not so common, some of the ingredients used by doctors and philosophers were opium, Valerian, and marijuana. Bone marrows and clay pipes were the primary devices used for smoking. Just like Ancient Europe, the Middle East and Southern Asia were also known for marijuana smoking, while East Asia had inclinations towards opium smoking. 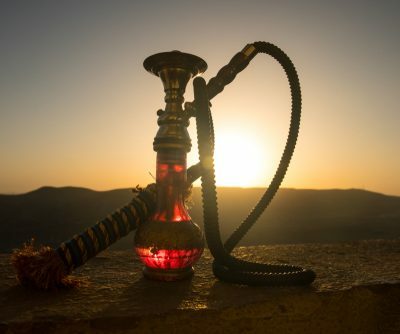 Hookahs, bongs, pipes, and chillums were the main methods people used to smoke. Note that it was Persia where hookahs were invented: they varied from fine pieces of art through coconuts and bamboo parts. Colonialism brought the plant from the Americas to Europe. Jean Nicot, a French diplomat, introduced tobacco to France in 1560. The word nicotine is derived from his name. Trade of tobacco between America and Europe grew when Spanish trade ships brought dried leaves to the Old World. The European elite spearheaded the first wave of tobacco popularization. The popularization of tobacco smoking started off in the 16th century. The demand and value of the plant rose sharply during this period. It even earned the nickname, the brown gold. North America became the prime supplier of raw tobacco. In a small settlement in Jamestown, Virginia, it was first grown as a cash crop by John Rolfe. Cigarette use increased with the invention of cigarette rolling machine in America. It became an affordable stimulant, often wrongly advertised as having health benefits. The Bonsack Cigarette Rolling Machine could produce more than 200 cigarettes a minute. It also required less manpower. This brought down the price of cigarettes to an affordable item of daily consumption. Smoking became a popular trend. It was the time when the word “smoking” was first introduced into the English language. By the dawn of the 20th century, the first scientific study on the effects of smoking came out. In 1950, Richard Doll published clear links between smoking and lung cancer in the British Medical Journal. Two American scientists, E. Cuyler Hammond and Daniel Horn, also did a crucial study on smoking. To confirm the findings, the American Cancer Society initiated the Cancer Prevention Study I (CPS-I). This study included more than a million men and women from 25 states. The findings were forwarded to President Kennedy. Tobacco smoking was formally recognized as a harmful habit. Other studies with empirical data collection concluded the harmful effects of smoking. The social attitude and popular perception towards smoking started to change. Few anti-smoking groups in Germany came into force. Slowly, the government also started pushing its citizens away from smoking. The 1960s was an important phase in anti-smoking campaigning. The government took a proactive role in discouraging smoking. Health warnings started to appear on cigarette boxes from 1965. Cigarette manufacturers had to cut down on advertising targeting youth smokers. There were visible improvements on the ground. The percentage of adults who smoke in the US reducing from 42.4% in 1965 to 16.8% in 2014. The percent of student smoker has also halved during the same period. Mankind has a long association with tobacco. Its leaves are usually dried and then smoked using pipes or papers. In certain areas, people chew dried tobacco leaves while some smoke flavored tobacco through Hookah. A Cigar is a rolled-up bundle of dried tobacco leaves, smoked through a filter. It is native to South America, especially near the Caribbean islands of Cuba. The smoke from cigars is usually not inhaled because of high alkaline content, which adversely affects the lung tissues. Cigarettes are the most common way of tobacco use. The leaves are cured and crushed and then rolled in a paper. Most cigarettes contain a cotton filter. Chemicals additives are also added to the cigarette for longevity and uniform combustion. A Pipe is probably the more recognizable form of smoking tobacco. A pipe is a reusable bowl with a mouthpiece and a lid. Pipes use Loose-leafed tobacco, pieces of the tobacco leaves are ripped apart and stuffed into the pipe to be smoked. In cigarettes and cigars, ground leaves are often mixed with a variety of chemicals to give them more flavor, make them more addictive and produce desired smoking effects. Mass-produced cigarettes often contain thousands of ingredients along with the tobacco. Most vapes use e-liquids with nicotine extracted from tobacco leaves. 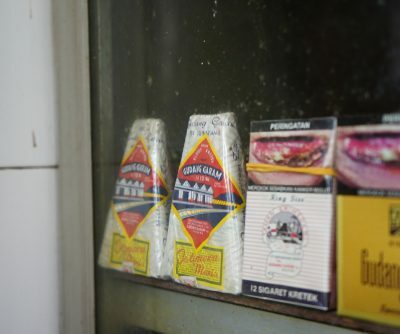 Kretek is a type of flavored cigarette, popular in South East Asia. Usually, dried spices (mostly clove) are mixed with dried tobacco and rolled into cigarettes. In some countries like Indonesia, sweeteners are also added to the tobacco mix. Hookah has great cultural significance in the Middle East and India. Tobacco mixed with a sugary solution of herbs, flavors, and honey forms the base. This mixture is then heated in a ceramic bowl. The smoke is then filtered through water and inhaled through a long pipe. Chewing of dried leaves is one of the oldest ways of extracting nicotine. This method is popular in India. Sweetened and flavored sticks of tobacco are usually chewed for hours and spit out. Chewing of tobacco has been associated with mouth and throat cancer. Vaping is a new way of enjoying tobacco flavor. It involves vaporizing e-liquids instead of burning dry leaves. E-liquids contain nicotine which vaporizes at a certain temperature. Vaporizer is considered to be the newest form of human consumption of nicotine; used to create vapor out of dry herbs, e-liquids, waxes or concentrates. 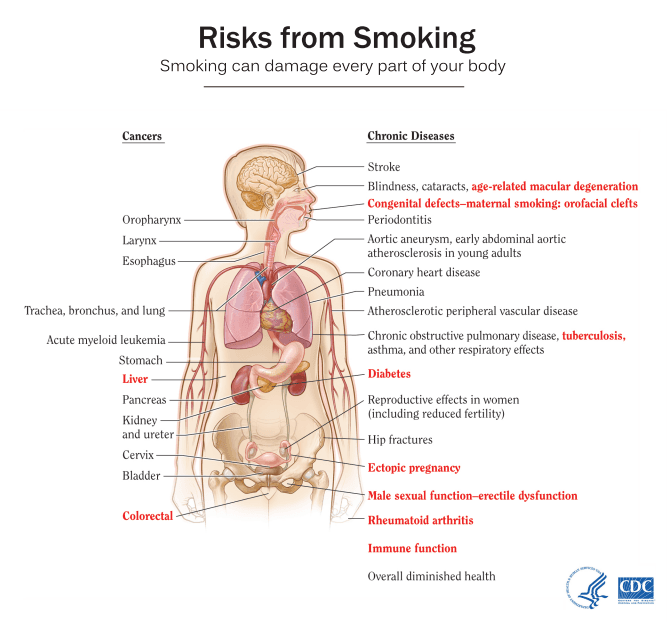 What are the Health Risks Associated with Tobacco Use? Nicotine is not the only harmful chemical in tobacco, which contains more than 7000 chemicals. There are more than 70 chemicals which have confirmed links with cancer. The use of the plant causes various forms of cancer. It also affects our respiratory system. It causes heart diseases, blood clots, breathing irregularities and chronic bronchitis. Tobacco is also linked to increased stress, macular degeneration, and infertility. Smoking also causes irreversible damage to the genetic code of humans by self-mutation. These damages to the genes are passed on to the progeny. This mutation is suspected to be a cause of cancer in the future generations. Smokers tend to have reduced immunity to common cold and sinuses. Breathing problems are often the first symptoms of smoking too much. Nicotine is one of the most addictive substances in the world. It is often compared with hard drugs like heroin and cocaine. Nicotine dependence occurs faster as the effects of nicotine are temporary. The withdrawal symptoms are strong because tolerance to nicotine builds up quickly. Smoking carries a plethora of health risks, most of them being fatal. Burnt the leaves produce thousands of chemicals including tar, nitrates, and sulfur oxides. These chemicals block our internal organs and cause tissue degeneration. Long-term smoking has been known to affect every organ of the human body including the brain. Smoking is also associated with strokes, lower metabolism, diabetes, and reduced immunity. Secondhand smoke is a dangerous offshoot of smoking as it sticks to the fabric. Children and pets are particularly vulnerable to secondhand smoke. Smoking harms the self-confidence in subtle ways. Smokers usually have stained teeth and bad odor which puts off social interactions. The smell of burnt smoke is also frowned upon in social gatherings. Smoking also causes lethargy due to decreased metabolism. In some cases, withdrawal symptoms cause lack of motivation in smokers. Initially, tobacco has been used in rituals; its commercialization took off in the 17th century. The use of tobacco intensified with the rise of colonial trade. The rapid industrialization of the 19th century gave an extra impetus to the trend. Modern research into the health effects of smoking tobacco has reversed the trend. Social campaigns against smoking have also helped stop the trend. I love the written word, and in my career as a journalist, I strive to provide the facts about everything I write about. There are too many false and alarmist stories out there about life and vaping mainly. 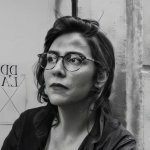 My mission is to make e-cigarettes less scary to people with informative articles and extensive research on not only the possible evils of cigarettes and Big Tobacco, but the objective side of e-cigs.